Our technical and commercial departments are ready to assist you for your every need. Are you just looking for a standard item? 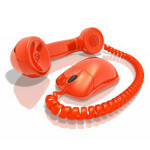 Or do you want to study a customized solution for your business? Our staff will guide and assist you over the whole process to ensure that everything goes according to your plans and find a quick solution to any possible hitch, for your maximum satisfaction. In our automated warehouse of Muggiò (near Milan, Italy) we keep a stock of every standard size. Even if you ordered a special item, we’ll always keep a small surplus to be able to face any urgent request you may receive. Inside our facilities we’re perfectly equipped to load any container or truck, be it yours or your transporter of choice. 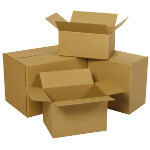 All our items are packed in neutral carton boxes with anonymous labels and a maximum weight of less than 15 Kg. Upon request we can also deliver your order in crates or in customized boxes. We can also print custom labels according to your specifications, including your company logo, your product code and all the relevant information that you need. You can’t come and pick up your order from us? Thanks to partnerships with the most important transport and shipping companies we can deliver quickly and reliably in all of Italy, Europe and the World. We’ll manage everything, from collection to delivery in your warehouse, to make sure that everything goes as smoothly as possible.